On The Economist an article that tells about designers who are considering the natural element as central in design, architecture and urban planning: from Urban Forestry to green design. So from the first Milan’s Vertical Forest the vegetal component, selected according to the context, conditions the built environment: as in the passengers lounge in the Pudong Airport Sky Jungle which is inspired by a dense jungle canopy. 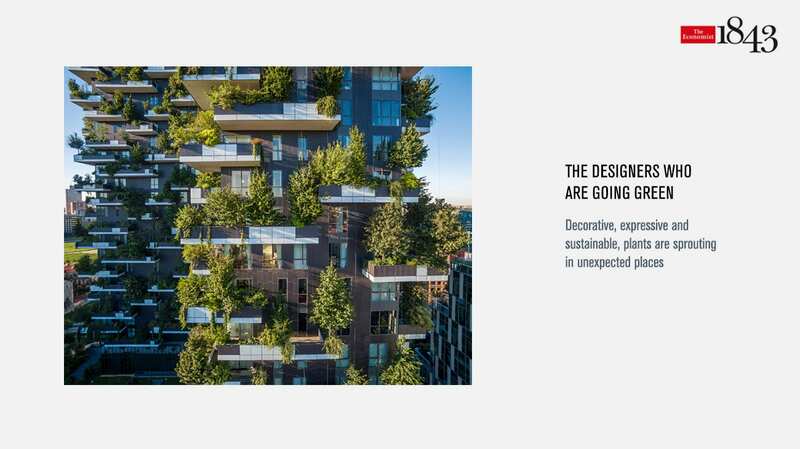 From Stefano Boeri Architetti to Studio Ro Co – that invades London’s interiors with special arboreal selections – projects that make the city healthier and more liveable have increased, contributing in tackling Climate Change effects in urban contexts, but also improving their aesthetic quality.